Canadians are among the biggest food wasters in the world according to a recently published report by the Commission for Environmental Cooperation. 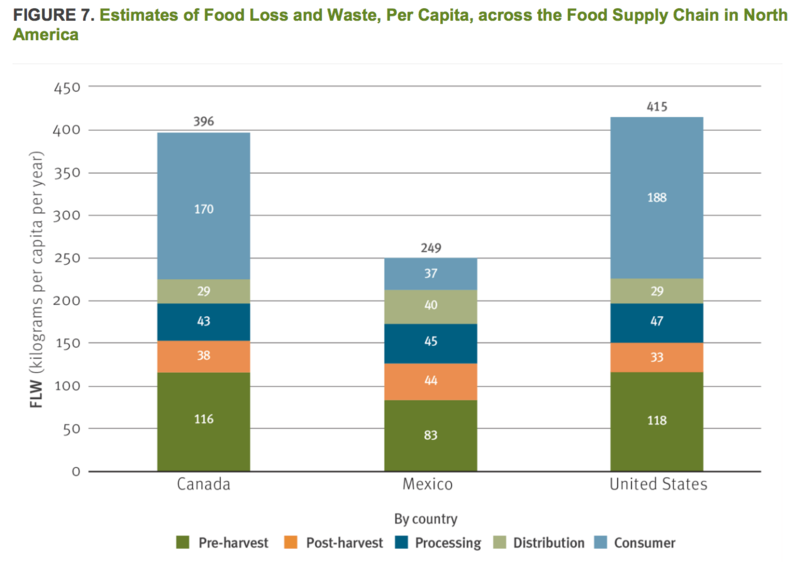 The report estimates that Canada is responsible 13 million tonnes of food wasted or lost per year, and while that number might seem comparatively low next to the estimated 12 to 21 million tonnes per year in Mexico and 35 to 60 million tonnes per year in the United States, on a per-capita basis we waste more than average compared to the rest of the world. 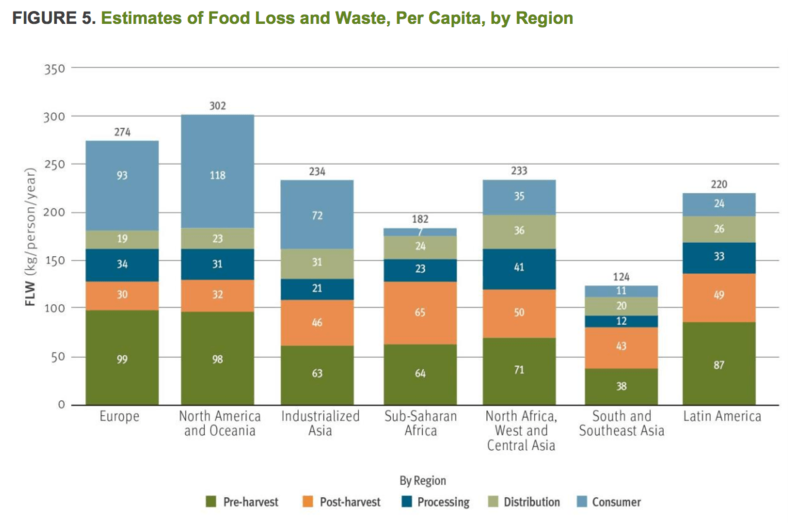 Canadians are reportedly responsible for 396 kilograms of wasted and lost food per person per year – less wasteful than our American neighbours (415 kilograms/person/year), but nearly 1.6% worse than Mexico (249 kilograms/person/year). 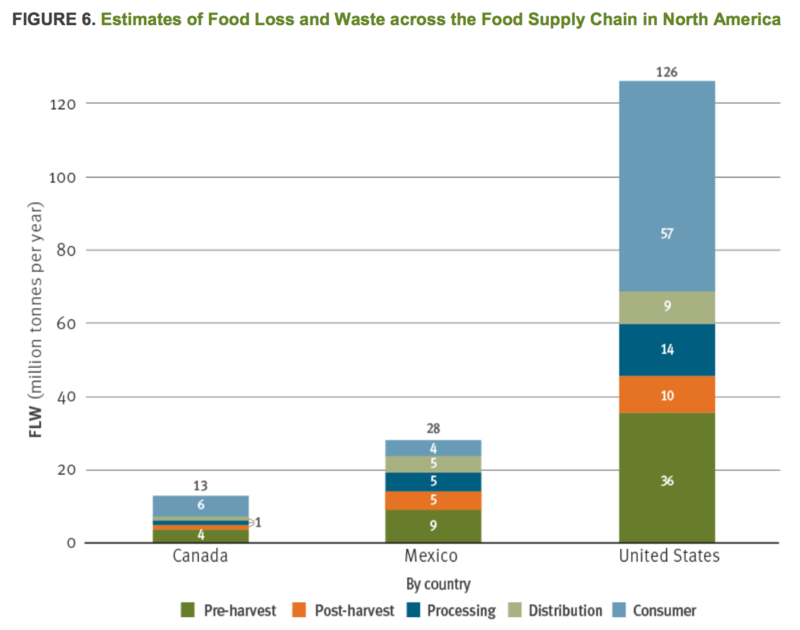 The report, Characterization and Management of Food Waste in North America, aims to quantify food waste and loss along every step of the supply chain – from harvest to table – and also identifies the economic and environmental impact as well as initiatives across North America aimed at reducing food waste. From ugly fruits (AKA second-grade produce) for sale to food banks and food rescue programs like Second Harvest, Not Far From The Tree, and Food Lens, Canadian organizations are making strides, though one of the biggest challenges remains consumer waste. 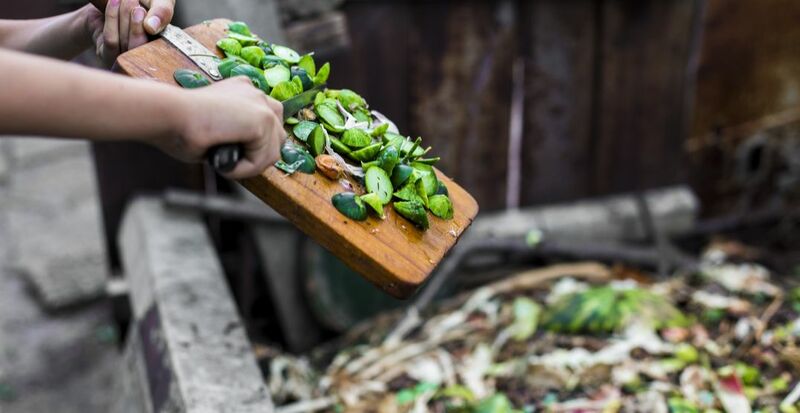 Consumer food waste amounts to an estimated 170 kilograms per capita per year, and represents 43% of food wasted in Canada.